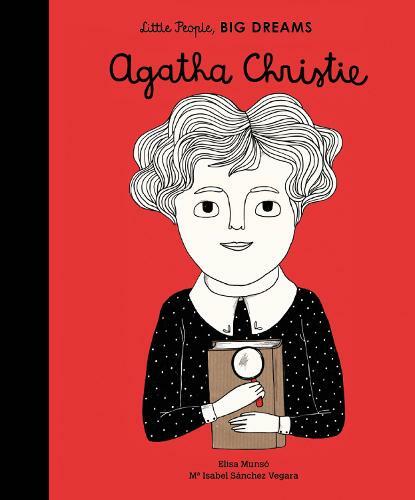 The book follows Agatha Christie, who taught herself to read at the age of five, on her journey to becoming the most famous crime writer of all time. The Little People, Big Dreams Series:With stylish and quirky illustrations and extra facts at the back, this empowering series celebrates the important life stories of wonderful women of the world. From designers and artists to scientists, all of them went on to achieve incredible things, yet all of them began life as a little child with a dream. These books make the lives of these role models accessible for children, providing a powerful message to inspire the next generation of outstanding people who will change the world! "This delightful biography for young readers... As well as highlighting her achievements, the book quietly emphasises how wonderful the imagination can be, and how this can inspire others, too. This is shown even through the illustrations, as Agatha's creations spill out across the pages."